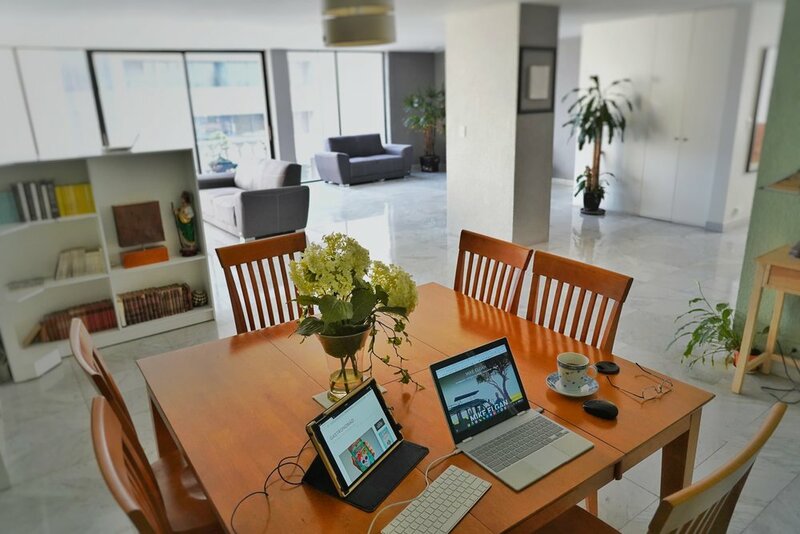 Our Mexico City apartment is the perfect place to work: Tons of space, fast WiFi, great table, fully stocked kitchen, etc. We have fast WiFi because we specifically requested it. Our host contacted their provider and cranked it up, and we’re paying an extra $30 per month for the upgrade. Pro tip: Always ask if internet speeds can be increased when you rent a house or apartment abroad.